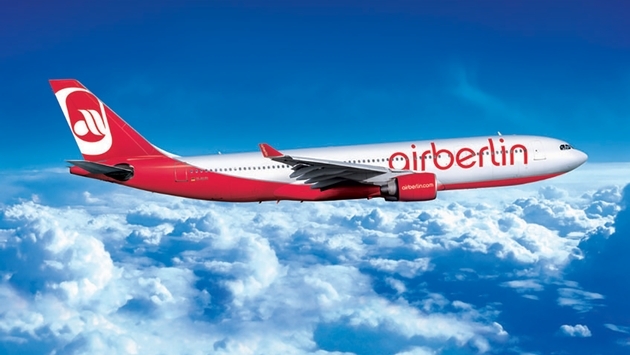 This winter, airberlin is offering an early booking sale. Passengers booking through Dec. 16 will receive fares starting from $599 from New York to Budapest, Milan or Oslo via airberlin’s hubs in Berlin or Dusseldorf. There are also special fares from Chicago to Helsinki, Krakow or Warsaw from $759, from Miami to Helsinki, St. Petersburg or Zurich for $799 or from Fort Myers to Copenhagen, Dusseldorf or Milan for $859. Other destinations and city pairs are also included at slightly higher fares. The sale is valid for travel periods from Jan. 6 through March 30. In November, Lufthansa Group airlines flew 7.8 million passengers for a growth of 1.1 percent over last November. The group’s airlines were able to increase load factor to 75.9 percent even as capacity increased by 1.6 percent as measured in available seat-kilometers. Larger, more fuel-efficient aircraft enabled the number of flights to be reduced by 3.2 percent. Most of the growth came from Asia-Pacific (+4.9 percent) routes. Lufthansa German Airlines, which also includes Germanwings and Lufthansa Regional, reported the biggest increase in passenger numbers in November (+2.6 percent). A total of 5.8 million passengers opted to fly with Germanwings or Lufthansa. 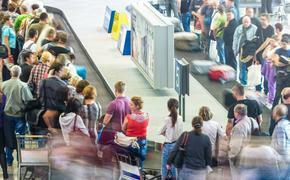 In November, Swiss achieved a passenger load factor of 78.6 percent, compared to 79.7 percent a year earlier. The four percent increase in capacity outpaced sales, which grew by 2.5 percent. Austrian Airlines, meanwhile, boosted its capacity by 2.9 percent and generated a disproportionately large increase in sales of 4.4 percent, which lifted the passenger load factor by 1.1 percentage points to 76.4 percent. Virgin Atlantic will launch a fifth weekly service from Vancouver to London Heathrow during the summer peak period in 2014. The extra flight adds more than 2,000 seats to and from the city this coming summer. The extra flight, running Sundays from May to August, will complement existing service on Tuesday, Wednesday, Thursday and Saturday. Last summer demand from Vancouver increased 18 percent. Air France began offering 24/7 assistance on social networks in order to answer the specific questions of its passengers such as flight times or reservation modifications. Users can go to the Facebook page of the carrier or find it on Twitter at #AirFrance. The new service plans to keep consultants available at any time of the day or night. This service is provided in French and English. “Our objective is to acknowledge their requests in less than an hour, and provide a solution in less than 24 hours” stated Jean-Michel Mathieu, vice president digital technology division. The airline has nearly 3 million fans on Facebook and more than 450,000 followers on Twitter. Air France is present on seven social networks: Facebook, Twitter, Instagram, YouTube, Pinterest, Google+, Sina Weibo and LinkedIn.